Reports of average rent process appear to be stabilising after months of uncertainty. 2012 has been a difficult year for many private landlords, outside of London, who have experienced fluctuations in rental prices. Now, recent statistics are showing average rental rates stabilised later in the quarter, averaging around £970. The third quarter rate was a slight decline from the Q2 average, but prices have increased by 2 percent or £20 over the last 12 months. The figures come from a “Rental Index” which covers the most comprehensive picture available of rental prices for the UK. 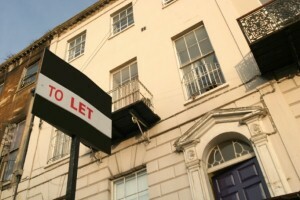 The report uses weekly data, tracking more than 150,000 advertised rental properties across England, Wales and Scotland. The key point of the recent data is that it confirms a consistent and increasing demand for rented properties across all regions. Even in London – when the private rental market is notoriously overheating this year – rents also stabilised at £2,270 per month. Yorkshire and Humber were the best performing regions in the quarter, with price increases of more than 7 percent. Private landlords will welcome the figures and will hope that their property portfolios now benefit from the stabilising effect.